One of the renowned Tour Operators, Tour Associate.com is operating from Delhi, India. 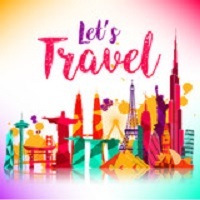 We specialize in offering both domestic and international tour packages all inclusive of quality hotel stay, dinning, sightseeing, travel guide, etc. Ours is a team of airline ticketing agents, rail ticketing agents and others who work in sync with clients to find out they plans and preferences. We also provide passport & visa services. All you need to do is just share your requirements and few details with us, and get ready to enjoy holidays this vacation.